Liberia International Airport was inaugurated for international flights in 1995 and since then has been steadily increasing its traffic particularly in the last couple of years. And with the proliferation of resorts and top-end hotels that are currently populating the Gulf of Papagayo we can only expect that the number of flights straight into Liberia will increase. 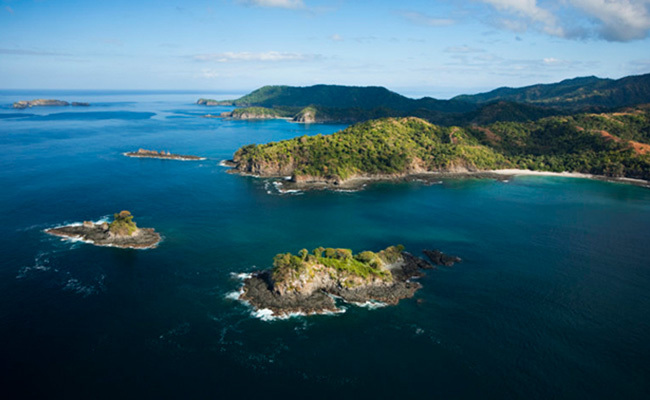 Liberia airport is most convenient for people visiting Costa Rica’s Northwest , including Guanacaste and the Nicoya Peninsula . So if you are going on vacation in this area we would suggest getting a flight here. 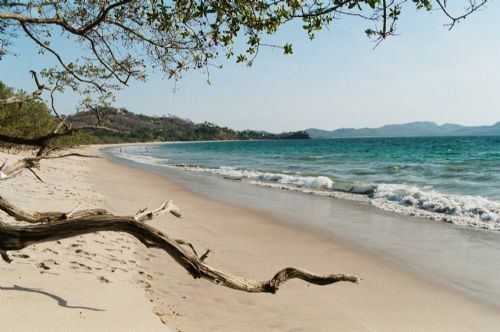 To give you an example, Tamarindo beach , one of the most popular beaches in Costa Rica is only 45 minutes drive from Liberia Airport as are the resort hotels of Papagayo such as the Allegro Papagayo and the Four Seasons. If your vacation is going to take you far and wide in Costa Rica it's probably best to fly into San Jose, as more domestic connections can be made from here. Likewise if you are heading to the Caribbean, central valley or southern Costa Rica. We have been asked many times whether San Jose or Liberia Airport is best to fly into if visiting the famous Monteverde Reserve first. It actually takes about the same amount of driving time from either Liberia or San Jose, 3 ½ hours. It can be beneficial, however, to fly into Liberia as the Pan-American highway heading south is rather easier than the road north from San Jose. There is a winding stretch of road between San Ramon and Esparza, the Combronero Section, which is highly prone to road accidents. While this obviously means there is a need for extra caution if renting a car it also means that you are more likely to get stuck in deadlocked traffic as in most places the Pan-American is a 2 lane highway. This writer once got stuck for 2 hours in this manner, on the bright side she was able to take a nap on the back seat for the duration. The chances of this happening to you are relatively slim, however some kind of hold up is not unlikely! Given the choice it’s probably better to fly into Liberia. If your first stop is the popular Arenal we would recommend flying into San Jose as this is a 2 ½ hour trip while from Liberia it is about 3 ½ hours. However, bear in mind again that there are nasty sections of road on both of the two main routes driven between San Jose and Arenal. On one, there is the Naranjo to Ciudad Quesada section and on the other there is the San Ramon to La Tigra section. Both sections of road are prone to mist and fog due to the geography of the region as well as being winding and narrow in places. Our advice, if driving yourself – definitely don’t drive at night. The route from Liberia to Arenal has a less dangerous road but this is largely due to the fact that no one is getting up to any great speed as to describe it as potholed would be an under estimation. You’re heading to the Pacific Coast and the Nicoya Peninsula, or the National Parks of Santa Rosa and Rincón de la Vieja. Also if heading first to Monteverde as the road is better and it is the same travel time. The plane ticket is cheaper! 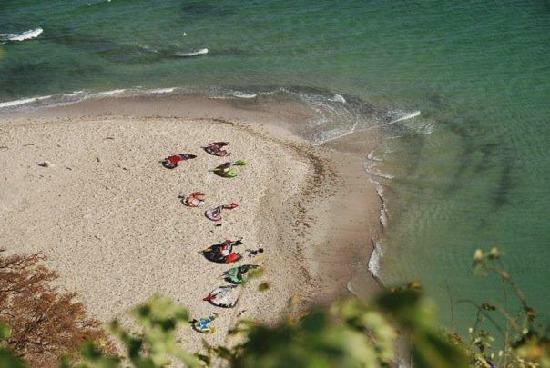 You are heading to the Central Valley, the Caribbean or the most southerly Pacific beaches. You are going to Arenal as it’s a shorter trip. You fancy checking out a certain kind of night time entertainment before heading elsewhere (sorry, but we do get asked!). If the the options of a private or shared shuttle service do not suit your needs, the airport taxi cab service is always available. We feel obligated to mention that since taxi services function with no prior reservations, their rates are around 25 to 35 % higher than any private transportation service (they can actually be even higher if you are visiting the country during holiday seasons). All the taxis at the airport are of a regular city cab size (sedans), so it could be uncomfortable depending on the number of passengers and the amount of luggage you are carrying. Sometimes luggage must be strapped to the roof. We recommend booking ahead with us, your premier private transfer service, so that you have peace of mind that your transfers will be priced right, comfortable and provide you with a wonderful Costa Rica experience. Airport shuttles and private airport transfers are by far the most popular and convenient way to get to your destination from the San Jose Airport. Our company has specialized in these private airport transfers since 2005. Our reliability and professionalism make us your top choice in service and value. San Jose Costa Rica Airport transportation, we can provide transport on many routes, including San Jose Airportto all hotels in Guanacaste and Costa Rica, San Jose Airport to Tamarindo Beach, San Jose Airport to Westin Playa Conchal, San Jose Airport to Dreams Las Mareas and other popular tourist destinations like Arenal and La Fortuna, Rincon de la Vieja, Nosara/Guiones, Jaco/Playa Hermosa, Monteverde and Manuel Antonio. 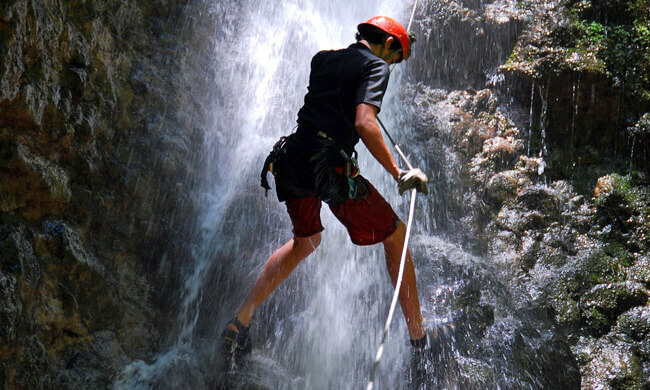 So we can also take you to your private home or condo anywhere in Guanacaste and Costa Rica. For more routes please see below. Transportation To and From San Jose Airport are available From These Destinations. (click on a route to request a quote). We do our best to hire experienced drivers who know the roads you'll be traveling on and will get you to your destination in a timely but safely manner. Travel time from San Jose Airport to Allegro Papagayo is approximately 4 hours each way. Distance is 243 kilometers. Stops along the way for food, shopping or restroom breaks are available. For transfers to San Jose Airport plan to leave 6.5 hours before your scheduled departure time. Travel time from San Jose Airport to Andaz Papagayo Hyatt is approximately 4 hours each way. Distance is 243 kilometers. Stops along the way for food, shopping or restroom breaks are available. For transfers to San Jose Airport plan to leave 6.5 hours before your scheduled departure time. Travel time from San Jose Airport to Arenal is approximately 3 hours each way. Distance is 115 kilometers. Stops along the way for food, shopping or restroom breaks are available. For transfers to San Jose Airport plan to leave 5.5 hours before your scheduled departure. Travel time from San Jose Airport to Arenal Lodge is approximately 3.5 hours each way. Distance is 139 kilometers.Stops along the way for food, shopping or restroom breaks are available. For transfers to San Jose Airport plan to leave 6 hours before your scheduled departure. Travel time from San Jose Airport to Barcelo Playa Langosta is approximately 4.5 hours each way. Distance is 249 kilometers.Stops along the way for food, shopping or restroom breaks are available. For transfers to San Jose Airport plan to leave 7 hours before your scheduled departure time. 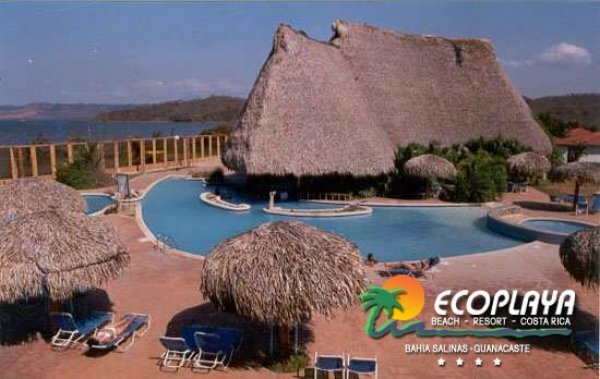 Travel time from San Jose Airport to Barcelo Playa Tambor is approximately 5 hours each way depending on ferry schedules. Distance is 130 kilometers. Stops along the way for food, shopping or restroom breaks are available. The last 45 minutes of travel are on a dirt road. For transfers to San Jose Airport please plan on leaving a day ahead of time. Travel time from San Jose Airport to Cahuita is 5 hours each way. Distance is 218 kilometers. Stops along the way fro grocery or souvenir shopping are available. Stops along the way for food, shopping or restroom breaks are available. For transfers to San Jose Airport plan to leave 8.5 hours before your scheduled departure time. Travel time from San Jose Airport to Playa del Coco is approximately 4 hours each way. Distance is 232 kilometers.Stops along the way for food, shopping or restroom breaks are available. For transfers to San Jose Airport plan to leave 7 hours before your scheduled departure time. Travel time from San Jose Airport to Dominical is approximately 5 hours each way. Distance is 194 kilometers.Stops along the way for food, shopping or restroom breaks are available. For transfers to San Jose Airport plan to leave 8 hours before your scheduled departure time. Travel time from San Jose Airport to Dreams Las Mareas 4.5/5 hours each way. Distance is 262 kilometers. Stops along the way for food, shopping or restroom breaks are available.For transfers to San Jose Airport plan to leave 7.5 hours before your scheduled departure time. Travel time from San Jose Airport to El Mangroove is approximately 4 hours each way. Distance is 225 kilometers. Stops along the way for food, shopping or restroom breaks are available. For transfers to San Jose Airport plan to leave 7 hours before your scheduled departure time. Travel time from San Jose Airport to Exclusive Resorts is approximately 4.5 hours each way. Distance is 246 kilometers. Stops along the way for food, shopping or restroom breaks are available. For transfers to San Jose Airport plan to leave 7 hours before your scheduled departure time. Travel time from San Jose Airport to Four Seasons is approximately 4.5 hours each way. Distance is 246 kilometers. Stops along the way for food, shopping or restroom breaks are available.For transfers to San Jose Airport plan to leave 7 hours before your scheduled departure time. Travel time from San Jose Airport to Grand Papagayo is approximately 4 hours each way. Distance is 226 kilometers.Stops along the way for food, shopping or restroom breaks are available.For transfers to San Jose Airport plan to leave 6.5 hours before your scheduled departure time. 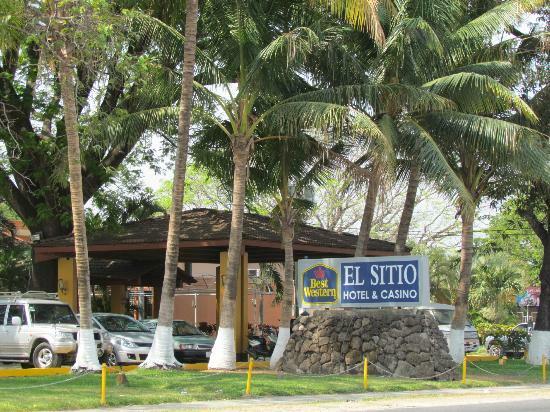 Travel time from San Jose Airport to Hilton Papagayo is approximately 4 hours each way. Distance is 225 kilometers. Stops along the way for food, shopping or restroom breaks are available. For transfers to San Jose Airport plan to leave 6.5 hours before your scheduled departure time. Travel time from San Jose Airportto Jaco is approximately 2 hours each way. Distance is 88 kilometers. Stops along the way for food, shopping or restroom breaks are available. For transfers to San Jose Airport plan to leave 5 hours before your scheduled departure time. Travel time from San Jose Airport to JW Marriott Guanacaste is approximately 4.5 hours each way. Distance is 249 kilometers.Stops along the way for food, shopping or restroom breaks are available. For transfers to San Jose Airport plan to leave 7.5 hours before your scheduled departure time. Travel time from San Jose Airport to La Fortuna is approximately 3 hours each way. Distance is 115 kilometers. Stops along the way for food, shopping or restroom breaks are available. For transfers to San Jose Airport plan to leave 5.5 hours before your scheduled departure. Travel time from San Jose Airport to LIR Airport is approximately 3.5/4 hours each way. Distance is 195 kilometers. Stops along the way for food, shopping or restroom breaks are available. For transfers to San Jose Airport plan to leave 5.5/6 hours before your scheduled departure time. Travel time from San Jose Airport to Limon is approximately 3 hours each way. Distance is 175 kilometers. Stops along the way for food, shopping or restroom breaks are available. For transfers to San Jose Airport plan to leave 6 hours before your scheduled departure time. 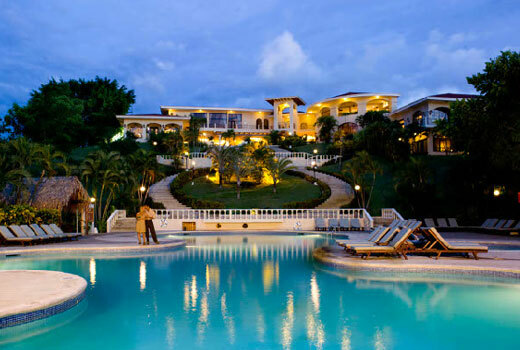 Travel time from San Jose Airport to Los Suenos Marriott is approximately 2 hours each way. Distance is 85 kilometers. Stops along the way for food, shopping or restroom breaks are available. For transfers to San Jose Airport plan to leave 5 hours before your scheduled departure time. Travel time from San Jose Airport to Malpais is approximately 5 hours each way depending on ferry schedules. Distance is 165 kilometers. Stops along the way for food, shopping or restroom breaks are available. The last 45 minutes of travel are on a dirt road. For transfers to San Jose Airport please plan on leaving a day ahead of time. Travel time from San Jose Airport to Manuel Antonio is approximately 3.5 hours each way. Distance is 159 kilometers. Stops along the way for food, shopping or restroom breaks are available. For transfers to SJO Airport plan to leave 7.5 hours before your scheduled departure time. Travel time from San Jose Airport to Punta Islita is approximately 5 hours each way. Distance is 225 kilometers. Stops along the way for food, shopping or restroom breaks are available. For transfers to San Jose Airport plan to leave 8.5 hours before your scheduled departure time. Travel time from San Jose Airport to Monteverde is approximately 3 hours each way. Distance is 135 kilometers. Stops along the way for food, shopping or restroom breaks are available.The last 50 minutes of travel are on a dirt road. For transfers to San Jose Airport plan to leave 6.5 hours before your scheduled departure time. Travel time from San Jose Airport to Montezuma is approximately 5 hours each way depending on ferry schedules. Distance is 149 kilometers. Stops along the way for food, shopping or restroom breaks are available. For transfers to San Jose Airport plan to leave a day before your scheduled departure time. Travel time from San Jose Airport to Nosara is approximately 5.5 hours each way. Distance is 262 kilometers.The last hour of travel is on a dirt road. Stops along the way for food, shopping or restroom breaks are available. For transfers to San Jose Airport plan to leave 8.5 hours before your scheduled departure time. Travel time from San Jose Airport to Playa Avellanas is approximately 4 hours each way. Distance is 258 kilometers. Stops along the way for food, shopping or restroom breaks are available.For transfers to San Jose Airport plan to leave 6.5 hours before your scheduled departure time. Travel time from San Jose Airport to Playa Grande is approximately 4 hours each way. Distance is 264 kilometers. Stops along the way for food, shopping or restroom breaks are available. For transfers to San Jose Airport plan to leave 6.5 hours before your scheduled departure time. 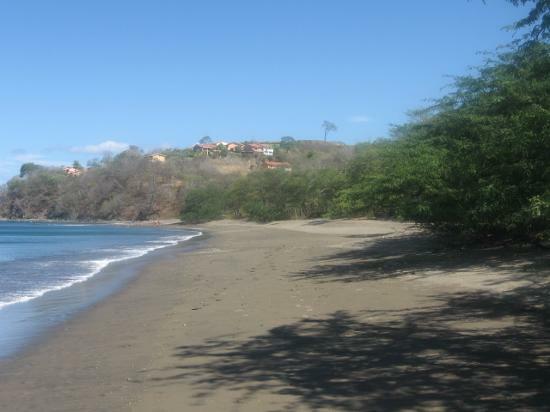 Travel time from San Jose Airport to Playa Hermosa Guanacaste is approximately 4 hours each way. Distance is 229 kilometers. Stops along the way for food, shopping or restroom breaks are available. For transfers to San Jose Airport plan to leave 6.5 hours before your scheduled departure time. 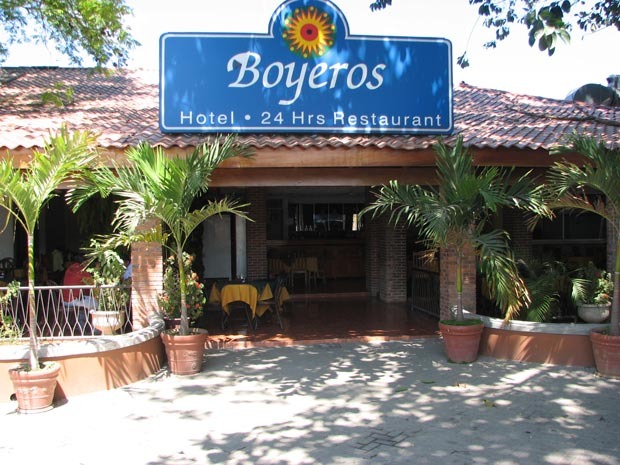 Travel time from San Jose Airport to Playa Hermosa Puntarenas is approximately 2.5 hours each way. Distance is 94 kilometers. Stops along the way for food, shopping or restroom breaks are available.For transfers to San Jose Airport plan to leave 6 hours before your scheduled departure time. Travel time from San Jose Airport to Playa Langosta is approximately 4.5 hours each way. Distance is 247 kilometers. Stops along the way for food, shopping or restroom breaks are available.For transfers to San Jose Airport plan to leave 7 hours before your scheduled departure time. Travel time from San Jose Airport to Puerto Caldera is approximately 1 hour each way. Distance is 64 kilometers Stops along the way for food, shopping or restroom breaks are available. For transfers to San Jose Airport plan to leave 4 hours before your scheduled departure time. 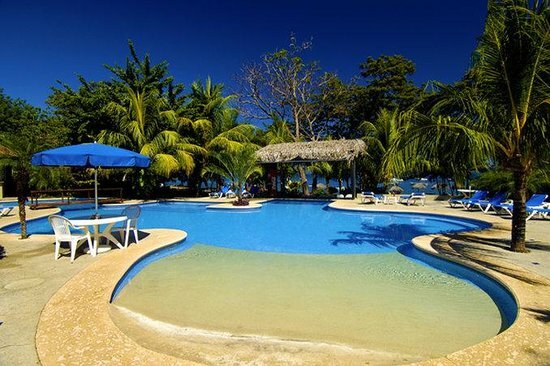 Travel time from San Jose Airport to Puerto Viejo de Limon is approximately 5 hours each way. Distance is 232 kilometers. Stops along the way for food, shopping or restroom breaks are available. For transfers to San Jose Airport plan to leave 8 hours before your scheduled departure time. Travel time from San Jose Airport to Puntarenas is approximately 1.5 hours each way. Distance is 84 kilometers Stops along the way for food, shopping or restroom breaks are available. For transfers to San Jose Airport plan to leave 4 hours before your scheduled departure time. Travel time from San Jose Airport to Quepos is approximately 3.5 hours each way. Distance is 151 kilometers. Stops along the way for food, shopping or restroom breaks are available.For transfers to San Jose Airport plan to leave 7.5 hours before your scheduled departure time. Travel time from San Jose Airport to RIU Guanacaste is approximately 4.5 hours each way. Distance is 236 kilometers. Stops along the way for food, shopping or restroom breaks are available. For transfers to San Jose Airport plan to leave 7 hours before your scheduled departure time. 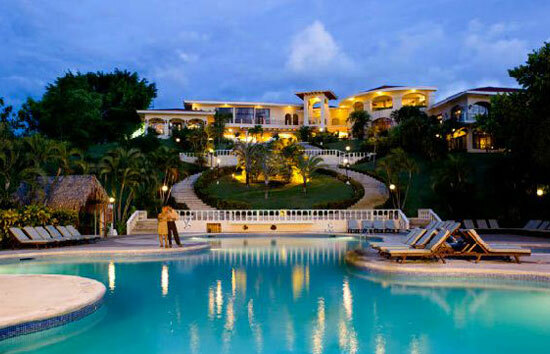 Travel time from San Jose Airport to RIU Palace is approximately 4.5 hours each way. Distance is 236 kilometers.Stops along the way for food, shopping or restroom breaks are available. For transfers to San Jose Airport plan to leave 7 hours before your scheduled departure time. Travel time from San Jose Airport to Samara is approximately 4 hours each way. Distance is 226 kilometers.Stops along the way for food, shopping or restroom breaks are available.For transfers to San Jose Airport plan to leave 7 hours before your scheduled departure time. Travel time from San Jose Airport to Malpais is approximately 5 hours each way depending on ferry schedules. Distance is 155 kilometers. Stops along the way for food, shopping or restroom breaks are available. The last 45 minutes of travel are on a dirt road. For transfers to San Jose Airport please plan on leaving a day ahead of time. 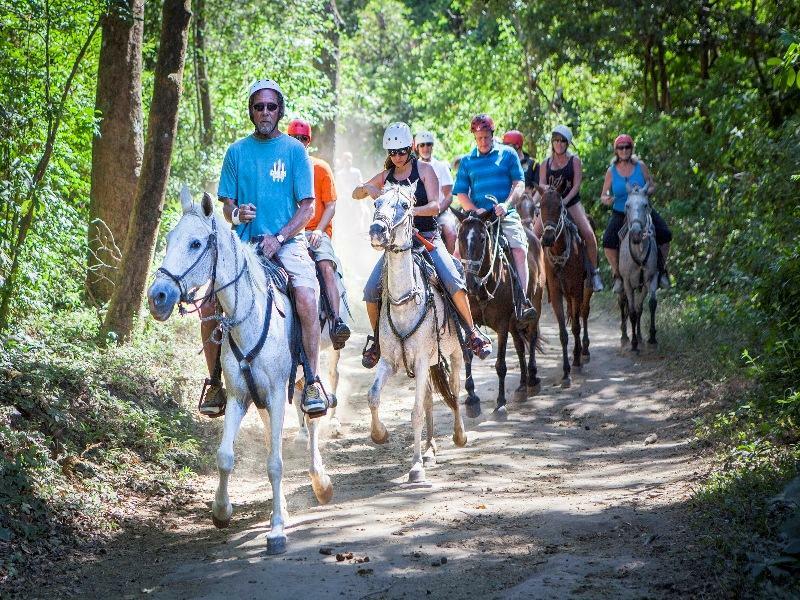 Travel time from San Jose Airport to Tamarindo is approximately 4 hours each way. Distance is 246 kilometers Stops along the way for food, shopping or restroom breaks are available. For transfers to San Jose Airport plan to leave 7 hours before your scheduled departure time. Travel time from San Jose Airport to Tambor is approximately 4 hours each way depending on ferry schedules. Distance is 130 kilometers. Stops along the way for food, shopping or restroom breaks are available. For transfers to San Jose Airport plan to leave the day before your scheduled departure time. Travel time from San Jose Airport to Turrialba is approximately 2.5 hours each way. Distance is 89 kilometers. Stops along the way for food, shopping or restroom breaks are available. For transfers to San Jose Airport plan to leave 5.5 hours before your scheduled departure time. Travel time from San Jose Airport to Playa Langosta is approximately 4.5 hours each way. Distance is 262 kilometers. Stops along the way for food, shopping or restroom breaks are available.For transfers to San Jose Airport plan to leave 7 hours before your scheduled departure time. Travel time from San Jose Airport to Villa Caletas is approximately 2 hours each way. Distance is 80 kilometers. Stops along the way for food, shopping or restroom breaks are available. For transfers to San Jose Airport plan to leave 5 hours before your scheduled departure time. 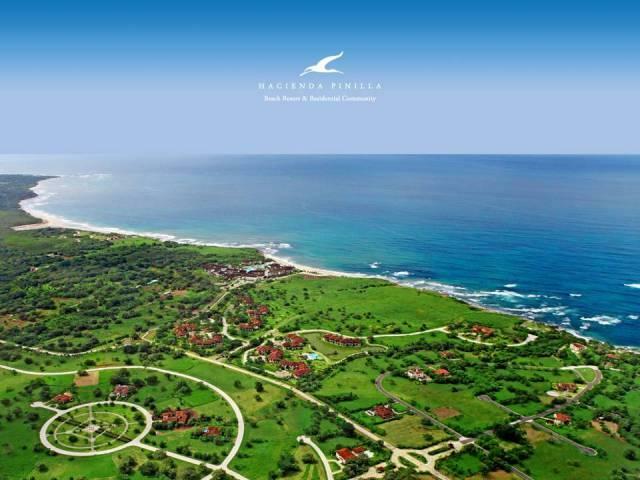 Travel time from San Jose Airport to Villas Sol Resort is approximately 4 hours each way. Distance is 230 kilometers. Stops along the way for food, shopping or restroom breaks are available. For transfers to San Jose Airport plan to leave 7 hours before your scheduled departure time.